BLACK SABBATH SABBATH BLOODY SABBATH CASSETTE W/ "KILLING YOURSELF TO LIVE"
Sabbath Bloody Sabbath is ranked 4th best out of 37 albums by Black Sabbath on BestEverAlbums.com. The best album by Black Sabbath is Paranoid which is ranked number 74 in the list of all-time albums with a total rank score of 31,618. Members who like this album also like: Paranoid by Black Sabbath, The Dark Side Of The Moon by Pink Floyd and Wish You Were Here by Pink Floyd. Related links: top tracks by Black Sabbathtop tracks of the 1970s, top tracks of 1973. Showing latest 5 ratings for this album. | Show all 495 ratings for this album. "Sabbath Bloody Sabbath" (hereafter abbreviated to "SBS") was released in December 1973 and, with music history as the ultimate judge, the fifth masterpiece in four years. It was the first Black Sabbath album I heard and its music irresistibly became the soundtrack to my pretty carefree adolescence. I remember as yesterday how musical preferences determined which group of young people you belonged to: the alternatives that principally opposed everything that was commercial (quite a naive division, but hardly discussed) or the large group of young people who were satisfied with transparent and commercial Glam Rock or the ubiquitous progressive rock, and who generally didn't care for loud music, daring vocals, and visuals associated with the occult, the devil's adoration, and other obscure ideas. At that time, the Catholic Church was perfectly able to preach the dualism between good and evil in order to keep the mass of believers on the good, Catholic path. "Good" and "Evil" did not need to be further defined, but let's be honest: the religious history of the West (think about the Crusades) mainly illustrates how many people were killed in the name of God (Killing people in the name of the Devil should make more sense, no?). "Good" and "Evil", "Light and Dark": in a worldview that was full of political tensions, those categories needed representatives. Black Sabbath built up a questionable image with dark, threatening and explicit songs on the first 3 albums (the track "Black Sabbath" was very explicit and not really susceptible to interpretation). On the one hand, Sabbath could benefit from it, because it gave the fame of the group a boost in those early years. On the other hand, the effect very quickly lost its charm and the image even turned against the band. But allow me to return to the album and all those magical times that I listened to it and dreamed away with what may easily be declared the best cover of 1973. No, just say "of all times". Covers had started to grow into artistic gems at the time, and the SBS cover work of the highly regarded Drew Struzan belongs in a museum. Front and back seemed to be opponents. The main character on the front dies a horrific death and everything looks like he is about to be included in a group of demons floating around the bed. The skull and the explicit reference to the devil in the number 666 now seem a bit outdated and somewhat cheap. At the time it became part of the cover however, it all added up perfectly. On the back we see a man on his deathbed, surrounded by family members in a human form. Most of them regret his imminent death. Both illustrations are loaded with symbolism and religious inspiration, and the band (especially Ozzy) loved what Struzan produced. Everything here is right. That certainly also applies to the Gothic font used: Struzan has refined it and applies a precise spacing. This is art. The refined finish through the use of threatening red on the front and calming blue on the back will hardly ever be matched later on. Think of "Born Again" or Iron Maiden's "Eddie the Head" and note the remarkable differences. Art and kitsch are indeed opponents of each other. Another conclusion is that the sound of Sabbath is closer to the Progrock of that time. Especially the arrangements with piano, flute, strings, acoustic guitar and synthesizer (undoubtedly a Minimoog) testify of a different musical approach. The indispensable and sophisticated riffs of Iommi (beautifully balanced between menacing and melodic) are still the backbone, but they are no longer the only driving force. It is clear that SBS is the result of maturity. Thanks to the fact that the band was given more time in the sound studio, Iommi's solos are often a dueling game of question and answer, and the sound image becomes richer because of what Rick Wakeman of Yes contributes on the piano (It was only late that I learned that Wakeman had an active role in the production of SBS). That Sabbath went in a different direction in terms of timbre was welcomed by the sympathy of the specialized press. And it has to be said: every song has its own vibe and atmosphere, and yet the record remains very consistent. Production here is particularly strong. Just like the sound, the lyrics (the majority were contributed by Geezer Butler) have undergone a transformation. 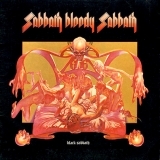 Explicit themes (the witch sabbath of "Black Sabbath" or the devil as true ruler of the world in the text of "Lord of This World") are exchanged for suggestive and more closed lyrics. In a song like "Who are You?" The hostile identity no longer has a name. Geezer leaves the interpretation to the listener, who gets sucked into the song in such a way that the doom and the darkness fall heavily upon his shoulders. It’s a real shame how the lyrics of "Killing Yourself to Live" had to be adjusted by law. Whoever does not get further in the texts, is insensitive to the many metaphors and, for the sake of convenience, only takes the lyrics very literally has no contact with the world, and certainly not with the artistic value that SBS has to offer. It’s crystal clear the lyrics are not inviting to commit suicide but telling how very hard and uncertain a musicians life could be. But the rapid growth of the band was accompanied by more and more drugs and alcohol. Sabbath was undermined by its success. Of course, Bill Ward's drinking was particularly problematic and the frictions between the members of the band became ever greater and more problematic. In fact, it was already a special achievement that the first 4 albums were made. After all, Ozzy was often an unguided projectile, Iommi felt obliged to come up with strong riffs faster and faster, and Geezer Butler was a melancholic who struggled with himself and everyday life (he makes that clear in the lyrics of SBS). However, it must also be said that during the 1970s many musicians were keen to let their audience know how dangerous and excessive their lives were. This was even a part of the image. David Bowie also claims that he does not remember anything about the recordings for "Station to Station" due to an excessive use of Coke. I have my questions about this. 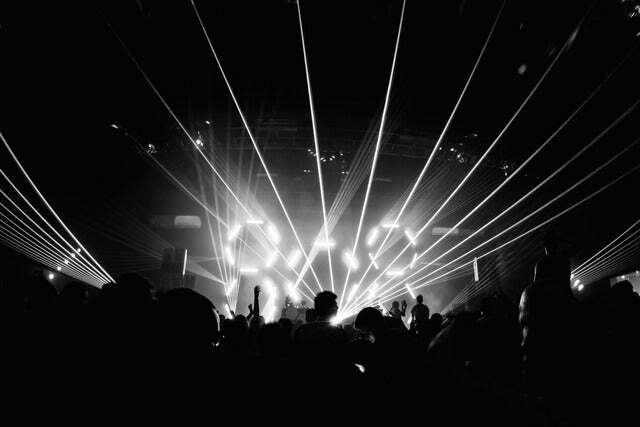 It is very exceptional that drugs help to stimulate and improve a creative flow. Cocaine in particular. Coke gives you the feeling that you are unique, but in reality does not make you better or sharper. Depending on the source being consulted, "SBS" would be considered the high point of the career of Black Sabbath (and therefore the high point of the so-called Ozzy-Era) and some reviewers even dare call it one of the best Hard Rock albums of all time . I will probably never get out of it because, although almost unthinkable, on "Sabotage" there may be even better songs. Allow me to stick to a status quo. Both albums are stuck together as an iconic duo. It must be clear however that on "SBS" all four musicians prove that their critics were wrong by increasing the creative effort, giving unprecedented attention to production standards and arrangements and not to forget the sublime cover paintings. Definitely the most "album" like album they ever put out. It feels like a journey if that makes any sense, and the orchestra at the end of Spiral Architect only drives that point home. The songs are much more thought out and diverse than on any other Sabbath album of the Ozzy era, yet they still have that classic metal feeling and they rock like motherf*ckers. This and Paranoid were the only Sabbath albums that hooked their claws into me as a rebellious youth. They both hold a place in my now subdued dark heart. This one is not as epic as Paranoid but has song upon song of catchy metal with a dark edge. A National Acrobat is up there as one of the greatest rock songs ever composed. In my opinion this is their best album from the Ozzy era, the cover is perfect for the album and band name. It certainly is more melodic than some of their other work, not a weak track on the album and a good flow from track to track. This album is bloody brilliant. Both the cover and the songs. Brilliant bloody Brilliant. Another exceptional Black Sabbath album for me. I don't know why it took me this long to listen to it. Ozzy's vocals just seem so so well done in this one. I can feel his heart in it and it rocks hard. This album is pure genius. It somehow manages to be melodic and listenable, yet still retains Sab's sludgy sound and dark vibe. Tony the riffmaster really nails it on this one. 8 tracks and not a dog in the bunch. For my money, the pinnacle of the original 8. People say it's not their best but they may be mistaken. Much less pedestrian than earlier offerings, SBS picked up the pace and offered some nice, tight gems. It was recorded a little too quietly, something more noticeable with the vinyl. While "Who Are You" is rather cheezy synth rock, "Fluff" is actually a nice acoustic break, while "Sabbath Bloody Sabbath", "Looking For Today" and "Spiral Architect" are rockin genius. Not quite in the same class as the previous four albums, Sabbath bloody Sabbath, is still a decent record. The title track is the only essential Sabbath track, but the rest of the record is fine. Not their best, but good.